An Elegance & Style All It’s Own! 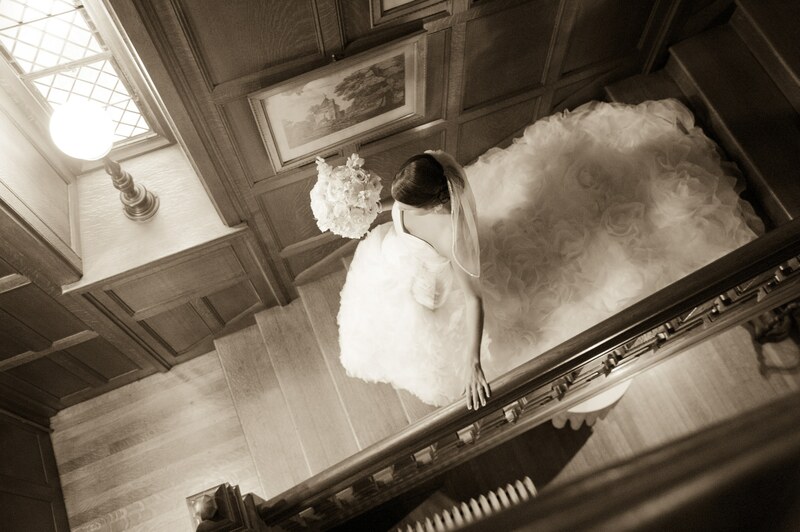 If you’re searching for a setting with elegance and style all its own, consider Searles Castle at Windham. Imagine your event here at an authentic English Tudor castle nestled in the New Hampshire woods, high atop a 175-acre estate. 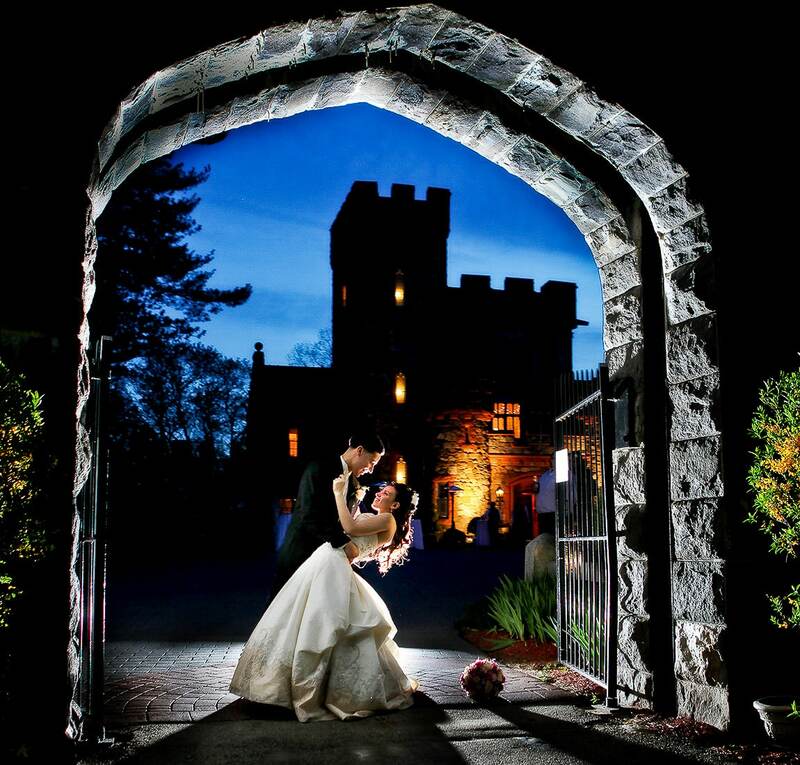 Whether you’re planning an elegant tented courtyard wedding; birthday or anniversary cocktail reception; a bridal or baby shower; or a business seminar, Searles Castle at Windham offers that genuinely unique setting and it’s conveniently located 30 miles north of Boston, less than five minutes from Rte. I-93. Searles Castle Offers A Truly Unique Setting For Any Event! 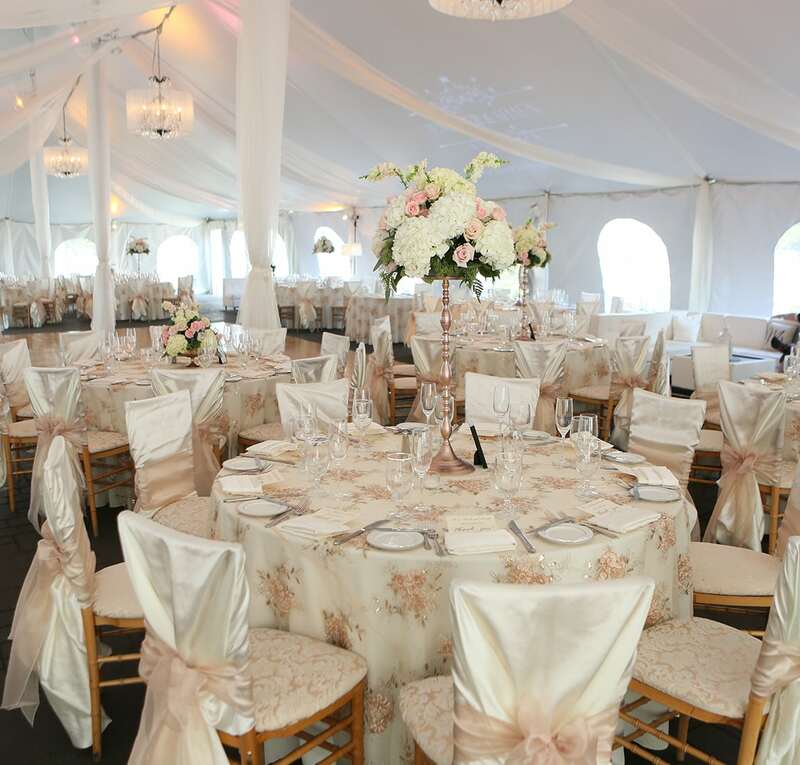 Imagine a beautiful white peaked tent in the fantasy land of a castle courtyard, a smiling bride, and groom, beaming parents and guests enjoying a cocktail hour and reception like no other. 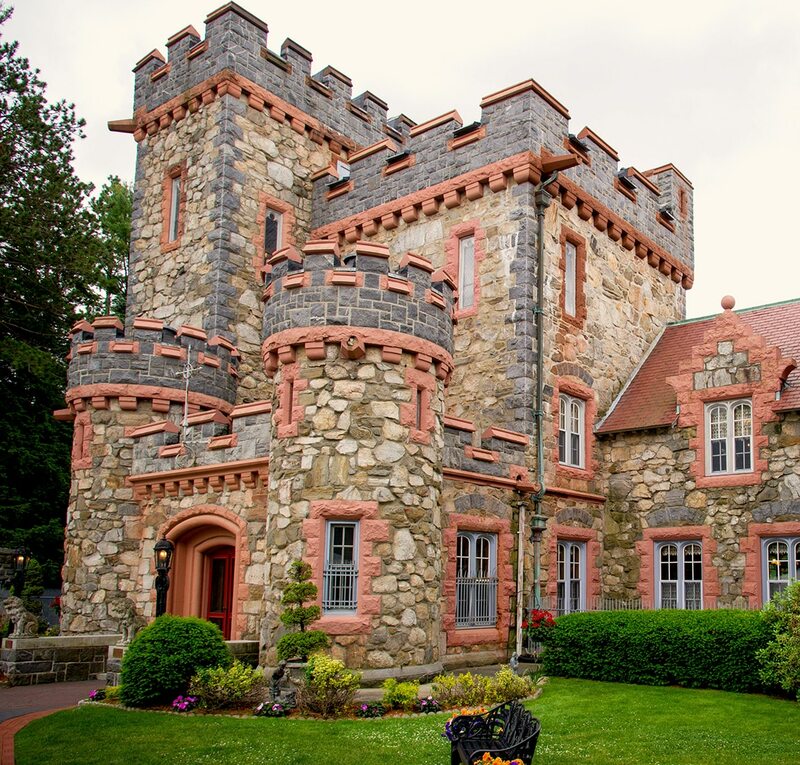 Imagine your wedding here at Searles Castle in Windham, New Hampshire. There is no place like Searles Castle for your next business seminar or Corporate event. We welcome the opportunity to act as your hosts in creating a unique and elegant environment for your guests to enjoy. 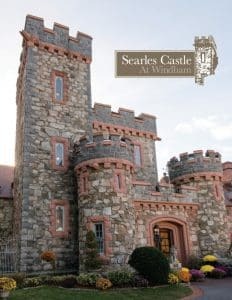 Searles Castle is the perfect location to make any Special Occasion unique. We welcome the opportunity to act as your hosts in creating a unique and elegant environment that will leave a lasting impression on your guests. Searles Castle was built under the direction of Edward F. Searles, an interior decorator, and antique collector. Having traced his ancestry to the Oxfordshire Harcourt family, he engaged the prominent architect, Henry Vaughn to design the castle in the style of Stanton Harcourt Manor in Oxon County, England. The building was completed in 1915 at a cost estimated to have been more than $1,250,000. The castle, located at 21 Searles Rd. in Windham, NH, contains 20 rooms. 23 SEARLES ROAD WINDHAM, NH. We respond to inquiries within 48 hours. Consultations are by appointment only please.